You are here: Home / DIY / Outdoors / The Most Forgotten Home Improvement: Our Siding! 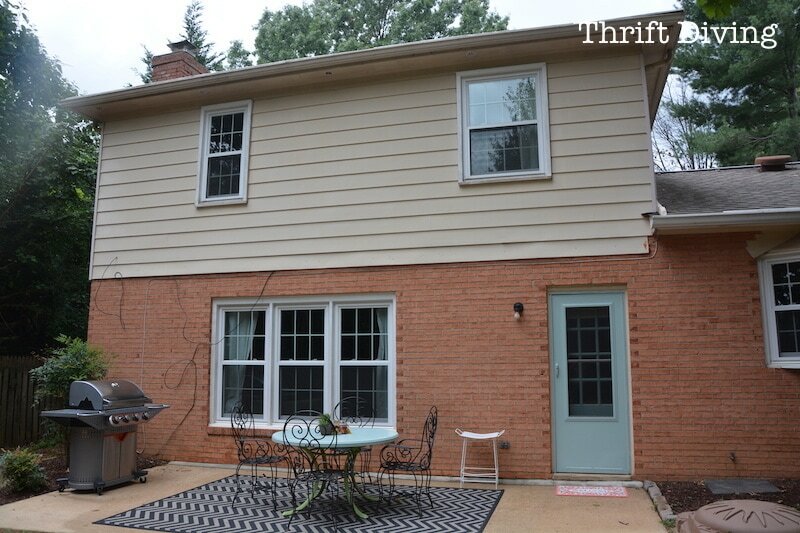 The Most Forgotten Home Improvement: Our Siding! I’ll admit: until recently, I’ve given very little conscious thought to the outside of my home. Yeah, it’s been that nagging little thought in the back of my head (“Okay, Serena, we’ve got to dooooo something about thiiiiiis”). 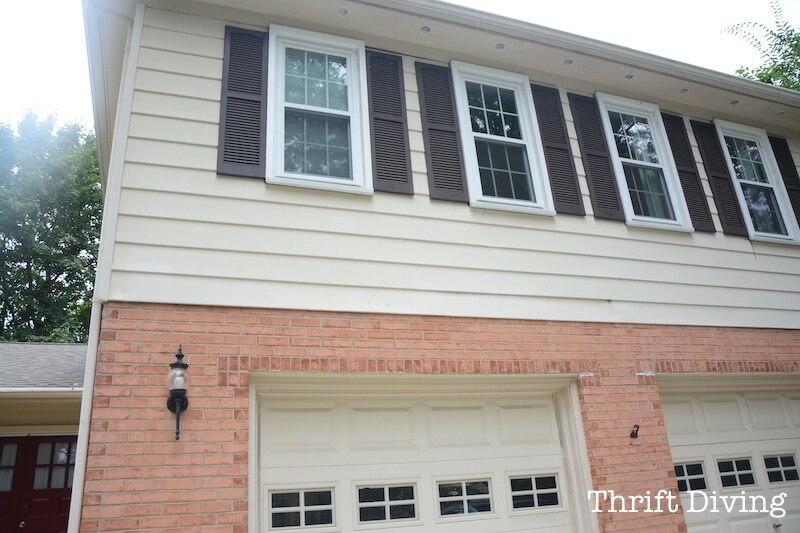 But I’ve spent so much time focusing on the inside of this home, the exterior (particularly, the siding) has been the forgotten “step-child” of our home improvement efforts here at Thrift Diving. But a shift is happening, guys. Because I realize that how I feel when I walk into my house (hopefully happy!) should be the same feeling I get when I pull into the driveway. And going beyond just mere appearance, the fact is, if we don’t take care of the exterior of our home, how can we expect it to take care of us?? We’ve neglected it for too long. That’s where James Hardie comes in. He sounds like a fictional character in a popular young adult series, or maybe the guy who invented bacon hamburgers. HA! But I’m talking about a different HARDIE: the siding company that actually received the Good Housekeeping Seal. 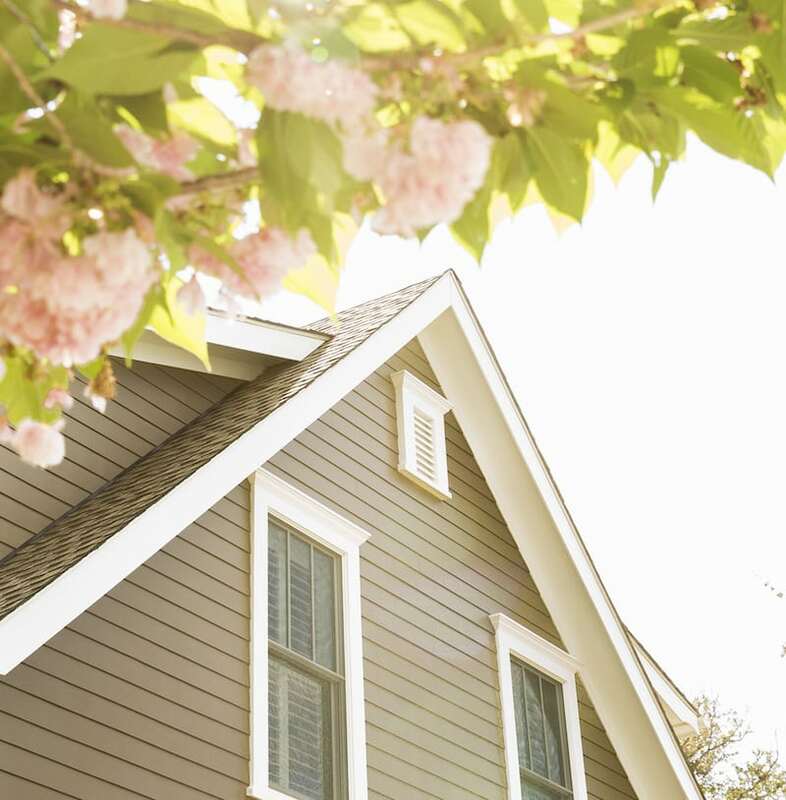 James Hardie has been #1 in siding for the past 30 years since they invented a durable weather-resistant fiber cement siding. In fact, over 5.5 million homes now have James Hardie siding on their home! That’s pretty impressive! I wanted to get my hands on a sample of this siding. And since they’ll mail you three free samples (request samples from their website), I picked out Boothbay Blue, Autumn Tan, and Cobble Stone (L to R). Dude, this stuff was tough as nails!! To say I was impressed was an understatement. They make different styles of siding (e.g. 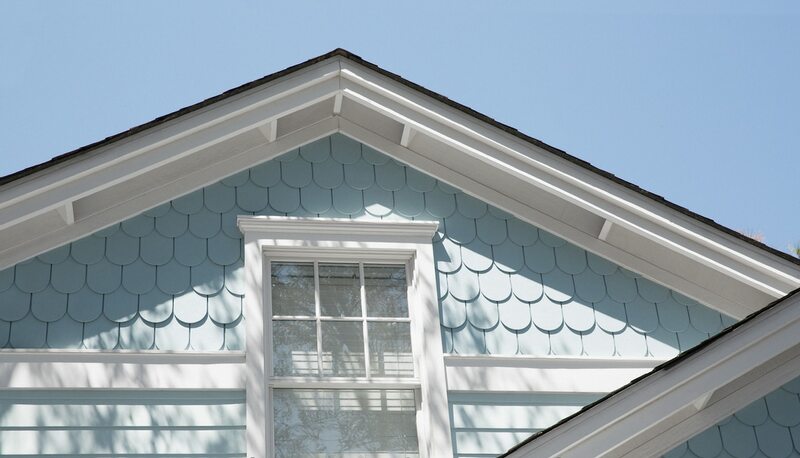 lap, shingle, and verticle), and depending on where you live, you can order certain colors and styles. 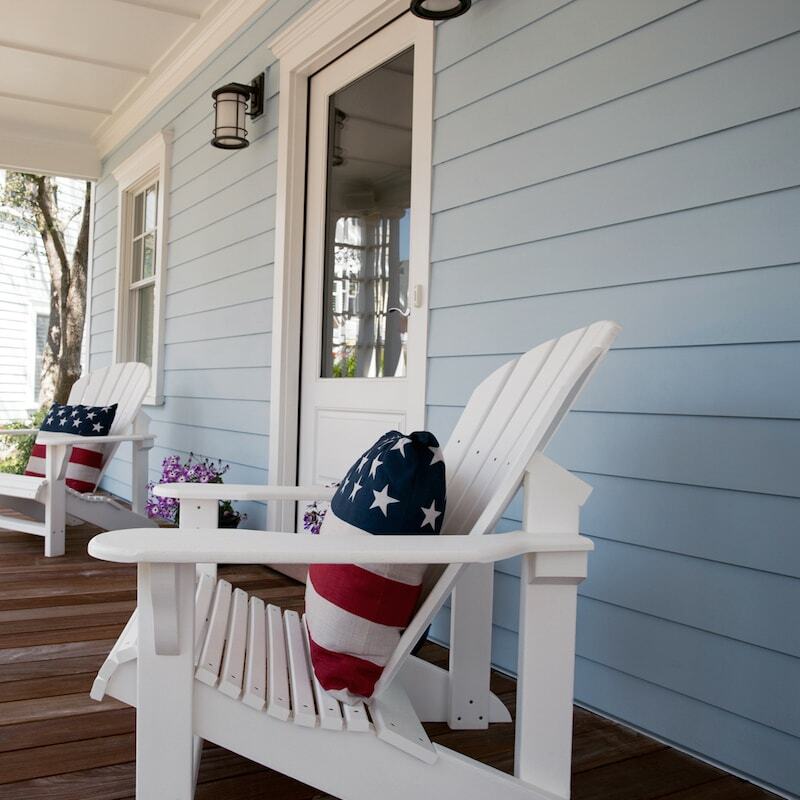 You can see their full line of James Hardie products here. 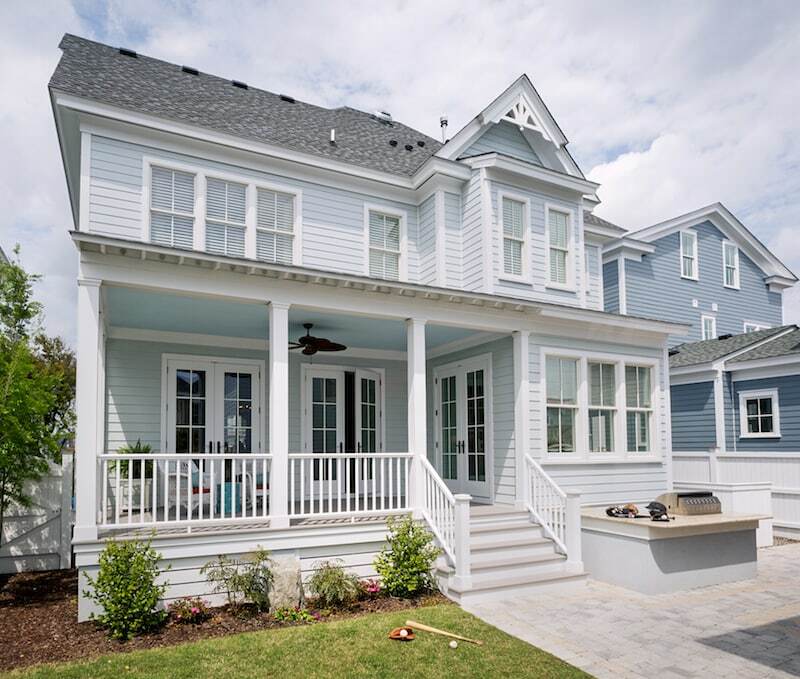 I want to pull up to a home that looks like this James Hardie home and see quality materials that don’t look dated and broken. From afar, our siding looks ok. But it’s the close-ups that tell the real story. It’s More Than Just Looks. It’s Durability. I don’t know if I have shared this before, but my house has a humidity problem in the spring and summer. I’ve never been able to figure out why. But it could be more obvious that I thought. With all those gaps, and probably poor weather barriers, just imagine the humidity that seeps inside, along with the rain (not to mention insects?!). And those elements are damaging. 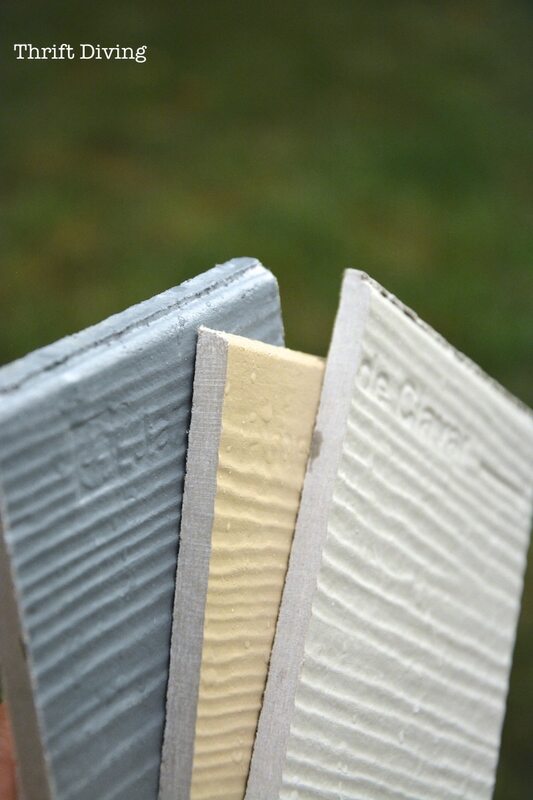 James Hardie products are engineered to resist moisture and rot because of its fiber cement composite. And it’s been tested in the worse weather (hurricanes, snowstorms, UV rays, and more). It’s not going to crack in the cold like vinyl does or expand and contract like wood when there are changes in moisture and humidity (and what a bonus–it’s fire resistant, too!). I could never imagine their siding doing what my siding is doing (pulling away from the house). I’m not sure how much the James Hardie siding will cost. It’s been one of those improvements that we’ve put off until the last moment because we know it will cost thousands. (Ahhhh….the joys of home ownership, eh??). But at this point, I’m ready to at least get a quote. It can never hurt to find out! On the JamesHardie.com site, you can Find a Contractor in your area that they recommend. I just put a request in for someone to contact me. I’m excited to find out how much it will cost exactly so that we can plan to have this taken care of in the near future! I will keep you posted after the quote! Wish me luck! 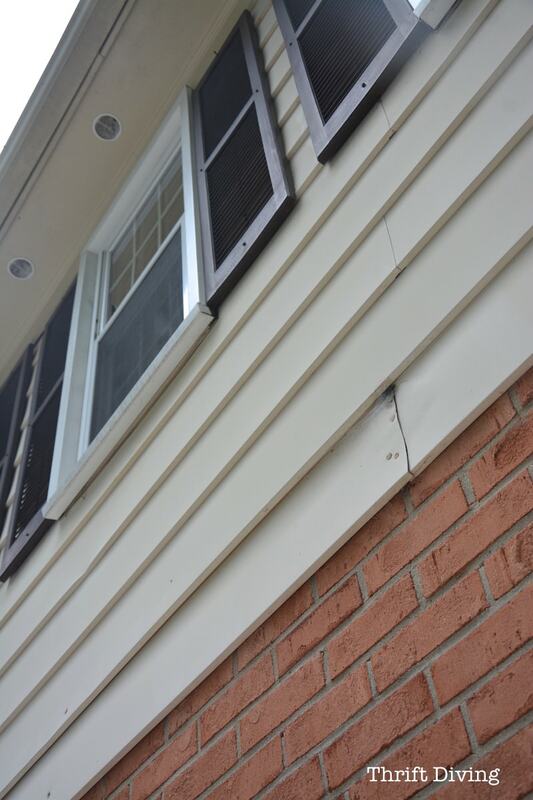 Have you ever had new, durable siding put on your home? Have you heard of James Hardie before? 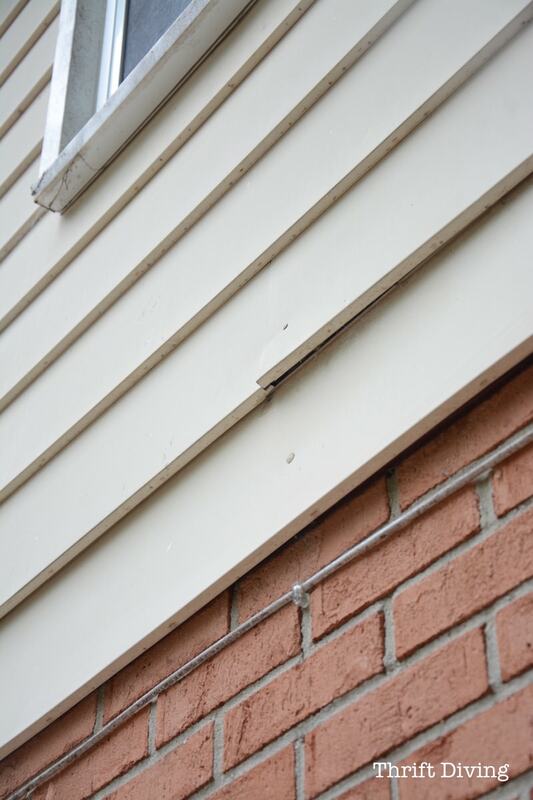 Let me know about your siding woes and wins, and let’s chat about them! « I Love Junk More Than Fred Sanford! You hit it spot on, we always assume our exteriors do not matter just like the interiors do. 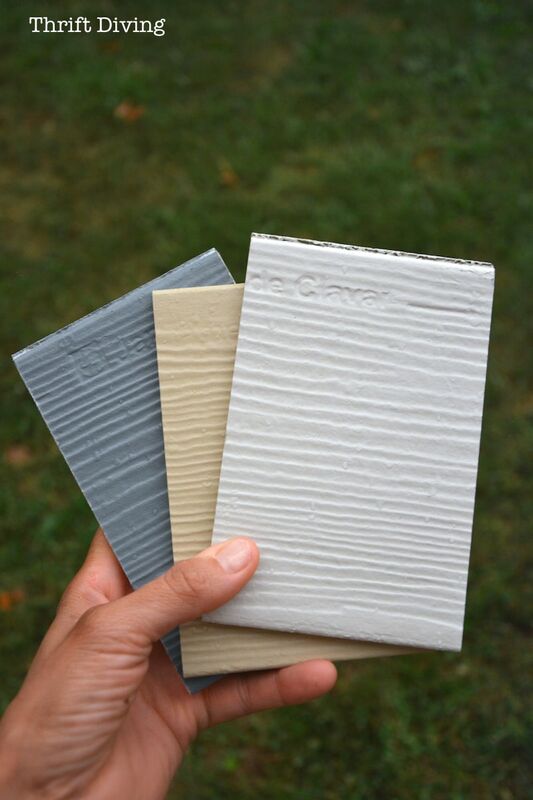 These are great ideas and your post has given me some thoughts about the kind of siding I will be installing soon. Keep it up with your good work. I have heard of Hardie panels and yes, we have some on our home. We remodeled a decade ago and they were recommended by our contractor. So far so good. 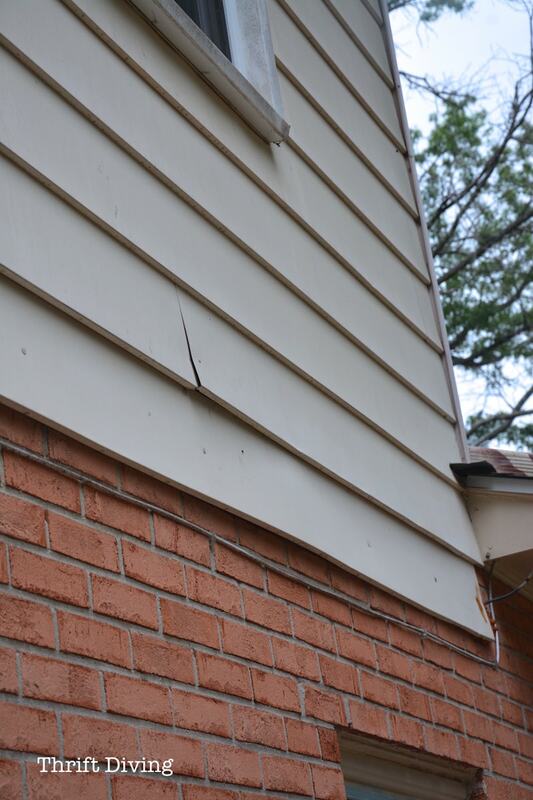 I guess I’m lucky, I don’t have siding–well, just a smidgeon on a small addition. I have stone, never really liked the stone, but at least I don’t have to do anything to it, it’s just there! I hope you get to live the dream of new siding! You’re lucky! I’ve priced siding before and OMG, it was maybe $8,000?? EEK!! I had a friend who got new siding a couple years ago because of a big store we had here. They’re siding was damaged. I kept thinking, “Man…..thank God for storms…..” Kinda. LOL.